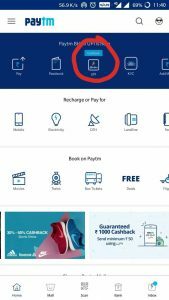 1.1 How to Get Up to Rs.1000 Cashback On UPI Transaction With Paytm? Paytm UPI Offer, Paytm UPI Loot– Hey Coolzdeals Readers, We Hope all are enjoying Free Recharge Tricks and take benefit of Unlimited Free Paytm cash& Free Paytm cash apps. As always we post amazon quiz first on the net with all correct answers. Paytm Has now launched UPI Transaction. BHIM UPI has powered this offer for Paytm. You can get up to Rs.1000 cashback (Rs.10, 100 Times) on UPI Transaction on any UPI address. So if you transact with your Friends 1000 times of Rs.2000, You will get up to Rs.1000 Free in Your Paytm Wallet. So, It is a Perfect time to Get up to Rs.1000 free from Paytm UPI Offer. See Below for Steps that how to get Rs.1000 Free from Paytm UPI offer. 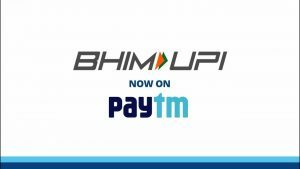 How to Get Up to Rs.1000 Cashback On UPI Transaction With Paytm? 2. Sign in or Sign up using your Paytm account. 3. Link your bank account with Paytm UPI. 4. You just need to take care of Paytm number and bank account mobile number will be the same. 5. Go to Menu and choose Cashback Offers. 6. Open offer saying 10 pe 10 UPI Offer (Earn Up to Rs.1000) – Rs.10 On 10 Transaction Of UPI Money Transfer. 7. Now, add Rs.2000 and do a UPI Transaction of Rs.2000. 8. Do more 9 Transactions and you will get Rs.10 Cashback. 9. You can Avail More 100 Times. After this, You can get up to Rs.1000 in Bank Account. You will get a notification and SMS to participate in 10 pe 10 UPI Cashback offer. If you didn’t get a notification, go to “Cashback Offers” from your “Profile” section & Click on the 10 pe 10 offer to participate. After participating in the offer, complete 9 more money transfers of Rs 10 or more to be eligible for cashback. You can avail this offer a maximum of 100 times during the campaign validity. If you fail to participate in the offer, your offer will be expired. All expired offers will be included in the maximum limit stated. Please Elaborate your Question for Better Understanding.